As leaders of the countries which make up the G7 gather in Japan for their annual summit, who are its members, what do its leaders hope to achieve and what hope do they have of actually achieving it? France, West Germany, Italy, Japan, the United Kingdom and the United States formed the Group of Six in 1975. Canada joined the following year. The group was meant to provide a venue for the non-Communist powers to address pressing economic concerns, which at the time included inflation and a recession sparked by the OPEC oil embargo. The European Union has participated fully in the G7 since 1981 as a "non-enumerated" member. That effectively means it’s not counted in the name. 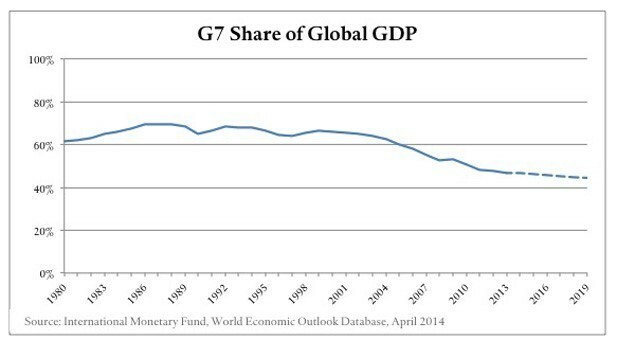 Club members wield significant power: the aggregate GDP of G7 member states makes up nearly 50% of the global economy, although that figure is falling. Russia belonged to the forum from 1998 to 2014, but was suspended after its annexation of Crimea in March of that year. There has been some doubt about the future of the G7 as a result of the rise in importance of the G20, a forum of finance ministers and central bank governors from 19 of the world's largest countries plus the European Union. Emerging powers such as China, Brazil, India, Mexico and South Africa, whose absence from the G7 was often noted, all belong to the G20. In 2011, President Barack Obama called the G20 the " premier forum for global economic coordination." So what is the role of the G7? Proponents of the G7 say the forum's small and relatively homogenous membership promotes collective decision making. Jennifer Blanke, Chief Economist at the World Economic Forum, believes it still has a place. 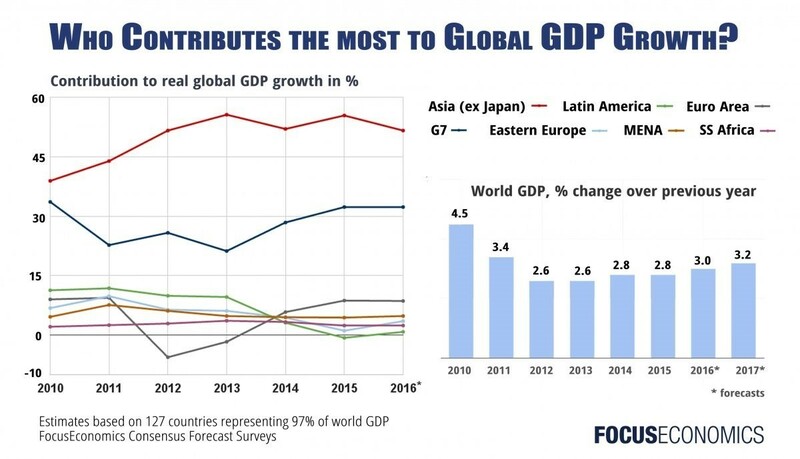 While the countries contributing most to global growth are, these days, outside the G7, the group’s economies do still make a very significant contribution. But critics note that G7 summits often "talk big" but lack follow through. Unlike the United Nations or NATO, the G7 is not a formal institution. Instead, the presidency, which rotates annually among member states, is responsible for setting the agenda and arranging logistics. Ministers and envoys, known as ‘sherpas’, hammer out policy initiatives at meetings that precede the annual summit. It’s is fair to say there is a good chance the impact of Britain’s possible exit from the European Union will also be picked over.